Conquest was originally built under the highest standards of the Yachting industry in the beginning of the 1960`s and was one of the first luxury yachts available for private charter in the Mediterranean. Conquest was designed by D. J. (Rick) Richardson for the actor Norman Wisdom who was the first owner of the yacht. 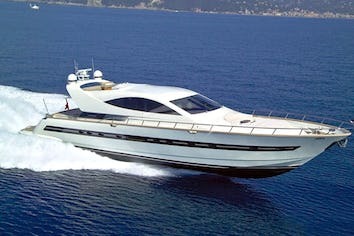 The hull was completed in Spain and towed to UK for high standard outfitting.Conquest has been observed on the French Riviera as a very popular Charter Yacht for many years, and is famous amongst Ports like St. Tropez and Cannes. 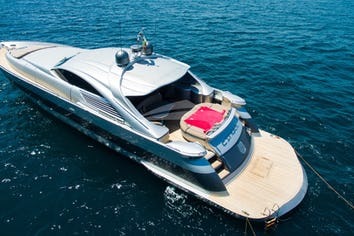 Her Sundeck offers an unusual amount of private space for her Guests, with large sun pads and comfortable seating areas to relax and enjoy oneself with panoramic views under the Mediterranean sun. 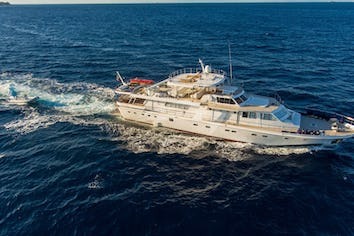 On her Maindeck she boasts a large dining table on the aft where one can comfortably seat 10 Guests, with views all around your anchorage or Berth of choice. Captain Angus Cowie and his crew go above and beyond to ensure a wonderful Charter experience, taking you back in time with excellent service, delicious Mediterranean food and cruising in a relaxed yet professional atmosphere and look forward to warmly welcoming you on board the lovely Conquest.